In our last post about uncommon vinegar uses we shared four uncommonly known vinegar cleaning uses. Today we're going to continue this theme by bringing you four more vinegar cleaning tips. Did you know that people have been using vinegar for ages? This is true. In fact, it is commonly accepted that vinegar was discovered in ancient Sumer (modern day Iraq), over 4000 years ago, as a result of someone allowing their wine to ferment too long – causing it to turn into vinegar. 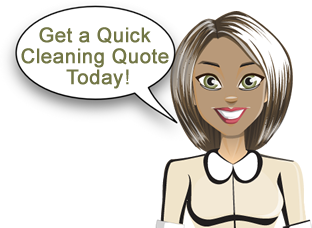 We clean your entire home each visit. Many other house cleaning services use a rotational system, meaning one portion of your home gets an in-depth clean on each visit. your entire home is thoroughly cleaned each and every time we service your home.